Want to listen to your Ipod or other MP3 player on your home stereo system? This 3.5mm stereo plug to dual RCA plugs allows you to listen to your portable audio device, or computer, on your home theatre receiver. 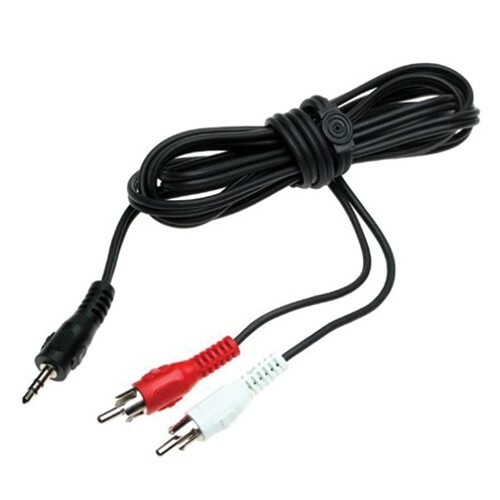 It is the quick and easy way to adapt a standard 3.5mm (1.8-inch) sound output (headphone jack, computer sound card, etc) into standard RCA jacks. Great for listening to the sound from a device with a normal headphone jack on anything that has RCA stereo sound inputs. MP3, Ipod, CD, portable DVD, PMP, MD, walkman, Digital Audio PC, laptop computer, computer soundcard.